The wind in your hair and the spray on your skin – become an explorer under an open sky. 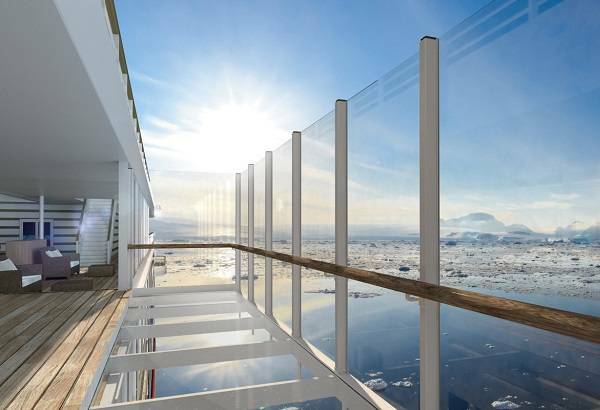 This is why our ships have more open deck space than any other expedition ship. Hear the ice crack as you stand on the bow. 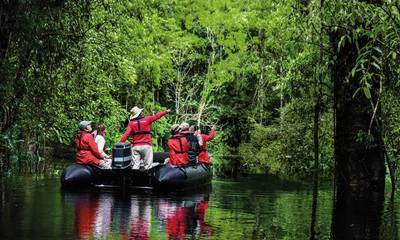 Or discover the dense mangrove forests of the Amazon from various perspectives as they pass by at arm’s length. What makes an expedition your expedition? The freedom to choose! The new expedition class is setting standards in variety, comfort and personal space. (HANSEATIC inspiration) and 2021 (HANSEATIC spirit). Please note: The HANSEATIC nature and HANSEATIC spirit will be a German-speaking ship, with all cruises conducted in German only. 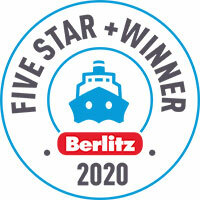 The HANSEATIC inspiration will be an international ship, with all cruises conducted in both English and German. 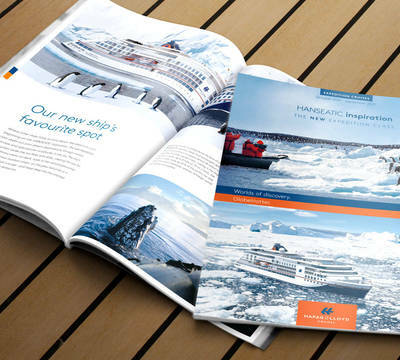 HANSEATIC inspiration & HANSEATIC spirit will accompany you on the expedition of your life. Nature/inspiration walk: The new deck track at the bow puts you in the front row for wildlife sightings. 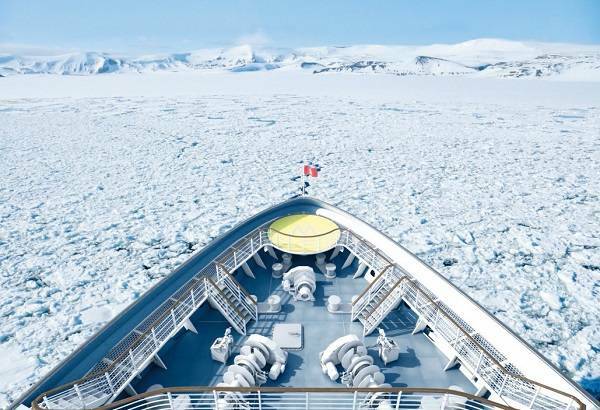 Please note: from October 2020 (from cruise INS2020), the HANSEATIC inspiration will be a smoke-free ship. This applies to all interior public areas as well as on deck, including the private balconies and verandas. The HANSEATIC spirit is exclusively for adults (from 18 years). 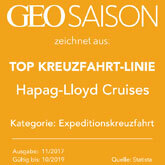 * A classification from the Berlitz Cruise Guide is not currently available as this will be given once the ships are completed. 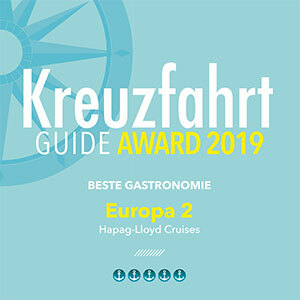 We believe that the comfort standard is similar to that of our MS EUROPA/MS EUROPA 2 ships, which both received the distinction of 5-stars-plus in the Berlitz Cruise Guide 2019. In the cabins and suites, curved lines, natural colours and premium materials come together in a harmonious room concept that promises – and delivers – pure relaxation. Please note: the HANSEATIC spirit is identical in structure to its two sister ships. It also follows the "inspired by nature" idea and interprets is in its own way - including in its own colour concept in the cabins and suites. 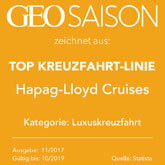 Come with us on a culinary voyage of discovery around the globe: on board, three spacious first-class restaurants create a unique and indulgent combination of expedition spirit and international gourmet cuisine. Spend your days and evenings however you wish thanks to flexible mealtimes, a free choice of seating and attentive 24-hour cabin service. HANSEATIC restaurant: The main restaurant with a relaxed atmosphere at any time of day – from breakfast to dinner, inspired by the region. 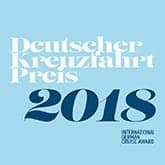 Speciality restaurants: The Nikkei on the HANSEATIC inspiration will take you on a culinary voyage of discovery: explore exquisite Japanese creations and Peru’s modern and fashionable cooking. The Hamptons offers new culinary highlights of the North American east coast on the HANSEATIC nature. 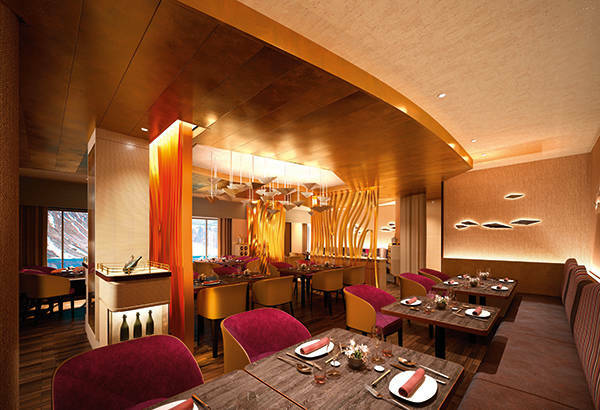 Enjoy french cuisine in the specialty restaurant on the HANSEATIC spirit. Lido restaurant: Eat under an open sky. The Bistro Restaurant offers 84 indoor and around 100 outdoor seats. 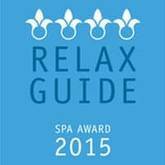 Bars: spend the evening relaxing with a glass of wine in the Observation Lounge or the HanseAtrium. Do exactly what you want. When you want and where you want. A breathtaking Zodiac ride, a challenging hike, a day in the Arctic ice – then close your eyes, feel the heat and indulge your senses. 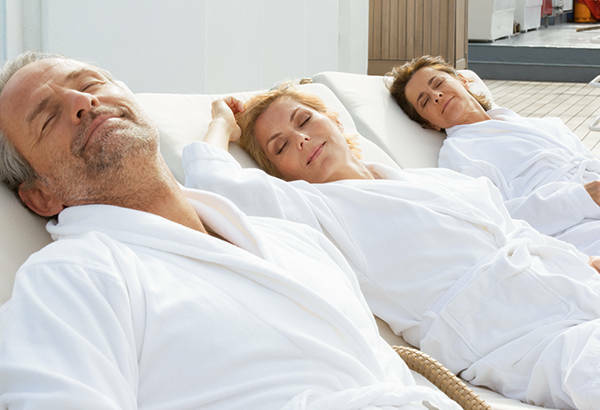 OCEAN SPA: Our new ships offer professional partial- and full-body massages, classic cosmetic treatments, a hairdresser and treatments for your hands and feet. The Finnish sauna with an ocean view and the steam sauna are the perfect end to every expedition. Pool area/bar: Thanks to its flexible canopy, the pool area with bar can be enjoyed whatever the weather. Water loungers and a counter-current system offer pure relaxation. 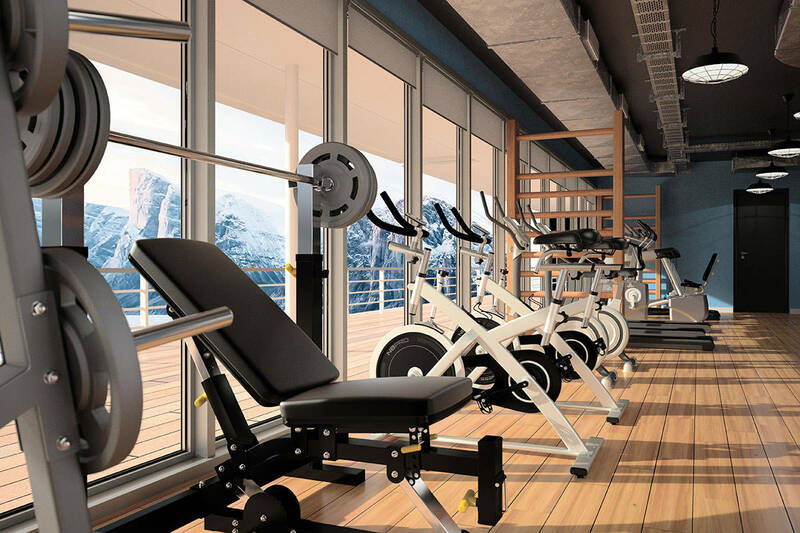 Fitness area: The fitness area, which has been expanded significantly to around 100 m² / 1,076 ft², features up-to-date equipment, a separate course room and an incomparable ocean view. 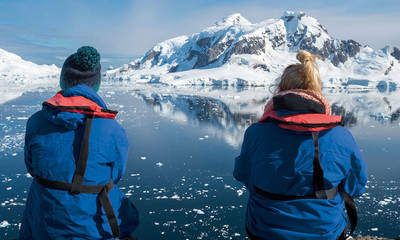 Your shore excursions and Zodiac rides will be accompanied by countless natural wonders that will leave you speechless. But to see the bigger picture, you need to understand the background. The new expedition class takes your expedition to the next level with fascinating presentations, personal studies in the Ocean Academy and the perfect equipment for the research trip of your life. HanseAtrium: The central HanseAtrium can be used for many different activities; its cutting-edge technology makes it suitable for presentations and expert lectures as well as intensive precaps and recaps. In the evening, the HanseAtrium is transformed into an atmospheric bar where you can see out the day and reflect on your experiences. Ocean Academy: Sit back in a comfortable Study Seat with a swivel touchscreen and immerse yourself in the world of science. You can use the study wall and interactive study poster to display fascinating information on a wide range of disciplines whenever you like.